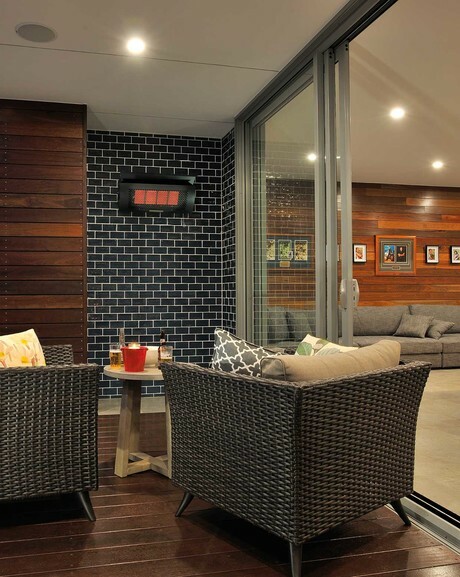 Thermofilm has expanded its HEATSTRIP electric outdoor heater range with the addition of a wall-mounted natural gas heater. The TGH34WN heater provides a heat output of 34 MJ and has a 4-tile commercial quality ceramic burner. Its electronic battery ignition, micro-switch on/off operation and stainless steel pull cords mean that only a gasfitter is required for installation. The wall-mounting bracket allows for multiple mounting angles and the reflector design ensures that only a minimum of 300 mm overhead clearance is required. 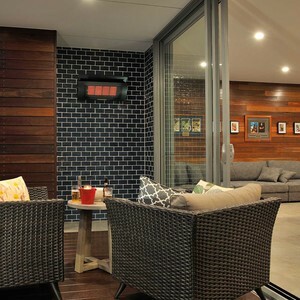 The heater is suitable for both residential and commercial applications and can be converted to use with LPG. The minimum mounting height is 2 m.
The heater will be available in Australia from March 2017. 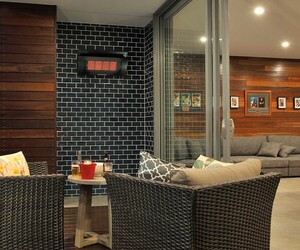 I am interested in Thermofilm TGH34WN wall-mounted natural gas HEATSTRIP heater .